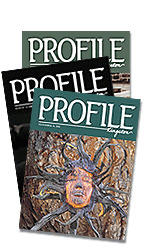 Established in 1985, Profile Kingston magazine strives to inspire and educate, to engage and entertain, and to make us all proud of Kingston and its people. Through the words and photography of talented local contributors, the citizens of this distinguished city continue to teach us all. Life in Kingston, Ontario has so much to offer! Published bimonthly, this glossy city magazine features the stories, accomplishments and passions of Kingstonians. Issues include columns highlighting finance, travel, nutrition, home and gardening, and articles of historic significance. Read about upcoming events, our self-improvement planner, business announcements, and dining guide. Meet Kingston’s young achievers, and discover what’s happening in and around the city. It’s all here in Profile Kingston — the city magazine that’s read cover to cover! Explore and enjoy Kingston with our companion magazine, Summer in the City. Presented in a convenient, easy-to-read digest format, Summer in the City contains a great selection of cultural events, recreational activities, maps, and dining establishments. Designed to entertain Kingstonians and their visiting friends and family all summer long, Summer in the City is your essential guide to beautiful, historic Kingston. Submitted material that is to be returned must be accompanied by a self-addressed and stamped envelope. © 2019 Profile Kingston/Summer in the City/Riverview Publishing Inc. No reproduction or republication in whole or part without written permission. The city magazine devoted to Kingston's people. 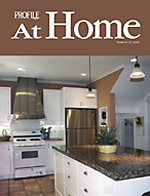 Our Kingston and area home improvement guide is published every spring and fall.